A dental crown or cap, as it is also commonly known is placed over a tooth to cover and protect it from breakage usually after a root canal treatment or sometimes used to restore a tooth’s shape and size or aesthetic appearance. When cemented into place, crowns fully encase the entire visible part of a tooth that sit above the gum line. Most crowns are made of a metal material and coated in porcelain. However, when considering anterior crowns (think the visible teeth in the front when you speak or smile) most patient’s are greatly, and understandably so, concerned with the appearance of these crowns. At DentAlign studio, Dr Scopu offers her patients the latest in ceramic technology: E-Max crowns. These all-ceramic crowns are preferred for anterior tooth restorations for their longer lasting, aesthetic qualities. This type of all-ceramic crown with an appealing translucent color. Typically with porcelain-fused to metal crowns, the color of the crown is an opaque tone because of the metal inside it, this may cause a crown to look less like a natural tooth. With an E-Max crown the translucency is combined with an extra strength and durability and the end result is a crown that looks like your own tooth. The reason behind this is that the crown is made from a single block of lithium disilicate ceramic, a top grade material which has been harvested for its toughness and durability. The transparent color and shape that can be achieved with an E-Max crown are what make it the best match for your natural teeth. Also, because it’s all-ceramic crown, there is no metal alloy base which means that there won’t be an unsightly looking gray line along the gum line. There may be some preparation involved although this depends upon the state of your teeth and the extent of work that is needed. This preparation begins with an examination of the tooth to be treated. The tooth is cleaned and then reshaped using a small drill. The idea behind this is to improve the shape of the tooth and its condition so that it is ready for the fitting of the crown. 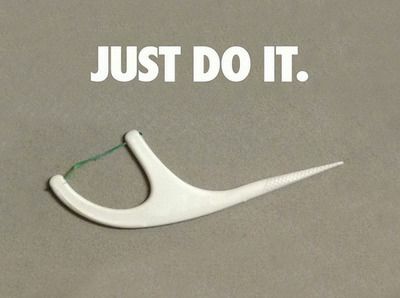 An impression is then taken of your teeth. This involves the use of impression material which you will be asked to bite into. The impression left by your teeth is used by a dental lab as a cast which is then used in the fabrication of your E-Max crown. Then, Dr Scopu will fit a temporary crown which you will wear for two to three weeks until your new crown is ready. Once it is ready then you will return to the office to permanently cement the crown. Call us today to replace an old crown with an E-Max crown! As dental professionals, we get asked all the time “what is the best insurance?” or a variation of “Why is dental coverage so lousy?”. And our patients have a point. Dental insurance typically is pretty lousy, for the patient and the dentist. There’s not enough coverage, too many things aren’t covered at all, the co-pays are too high, and the limitations are fairly strict. But why is this so? And the reason is a fairly simple one, dental insurance is simply not profitable to insurance companies. Now, why isn’t it profitable … well, there are lots of reasons and speculation for that. I wish I could say “well, it’s because of XYZ, and if that gets fixed, it’s all sunshine and rainbows” (or fillings and root canals if you prefer). But that’s just not so. But when you change your perspective about dental coverage, you will begin to understand that dental care should not be limited to accommodate what insurance companies will cover. For instance, many dental policies have very strict guideliness that (unfortunately) determine the treatment plan for the patient. These guideliness are a broad “one size fits all” approach to dental care, which really hinders the treatment that a dentist can offer on a case per case basis. If your dentist is only giving you the options that your insurance will cover, chances are you are not getting the whole story about what treatment might be better. 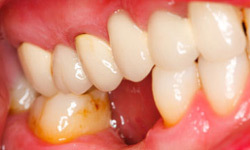 For example, some policies that do not cover endodontic treatment for certain teeth would instead cover an extraction. The best way to take full advantage of your insurance coverage is by understanding how it works. It may seem daunting at first and each insurance plan is designed differently, however there are some basics that can help you get a better idea of how you’re covered. If you have the benefit of dental insurance provided by your employer, consider yourself lucky. Think of this benefit as a valuable “coupon” that can greatly reduce the cost of dental care. Almost all dental plans are the result of a contract between your employer and an insurance company. Your dental coverage is not based on what you need or what your dentist recommends. 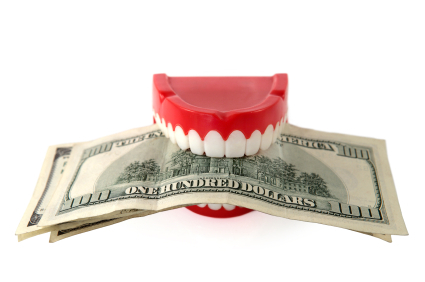 Employers generally choose to cover some, but not all, of employees’ dental costs. For the most part, insurance coverage is broken down into three or four categories: preventive care, basic, major and orthodontic. Preventive care is usually covered by the insurance by 100%. 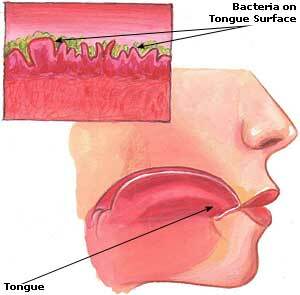 Routine cleanings, exams dental xrays, flouride treatment and children’s sealants are usually covered as preventive. However, most insurances limit the frequency of each of these services. Some patients may require to upkeep with more frequent dental cleanings due to active orthodontic treatment or periodontal issues, but insurances will limit the number of times a cleaning can be performed. Basic care is usually covered at a percentage, leaving the patient with copayments to cover the portions that the insurance will not pay. Additionally, most policies have a yearly deductible that applies for basic work. This deductible can vary for each plan. Usual services under basic care are fillings, deep cleanings, root canals, and some simple extractions among other services. Major work usually requires a pre approval from the insurance company. If the proposed treatment is approved, the insurance will notify the patient what percentage is their financial responsibility. Most major work consists of prosthetics such as crowns, bridges, partial and complete dentures and occasionally some oral surgery or surgical extractions. Additionally, some policies may cover braces. Orthodontic treatment is also covered at a percentage of the fees and it needs to be pre approved by the dental insurance. The guideliness they follow to determine eligibility for this service, may not always benefit the patient. To provide “full coverage,” an insurance company would have to charge more for premiums than a consumer would deem worth spending. So we get this hybrid “this is covered up to that amount/waiting periods/low maximums/no coverage at all” scenario that we’re in. Which really helps nobody — insurance companies don’t like it, as dental profesionals, we don’t like it and patients don’t like it. There are no easy answers. But at least now you sort of have an inkling as to how dental insurance works.